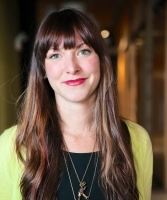 Jennalee Reiff, more commonly known as Jenna, is a Marketing Strategy Director at an Austin-based digital experience agency, Springbox. In her current role, Jenna develops digital strategies for a number of the agency's flagship accounts to drive richer, more actionable insights and outcomes. In her thirteen plus years of agency experience, she's held positions at other leading agencies including Wunderman, Blast Radius, Leo Burnett, VSA Partners and Fallon, executing strategies for several renowned brands such as Xbox, Allstate, IBM, Lenovo, Motorola, GSK, Lavazza and Wells Fargo.